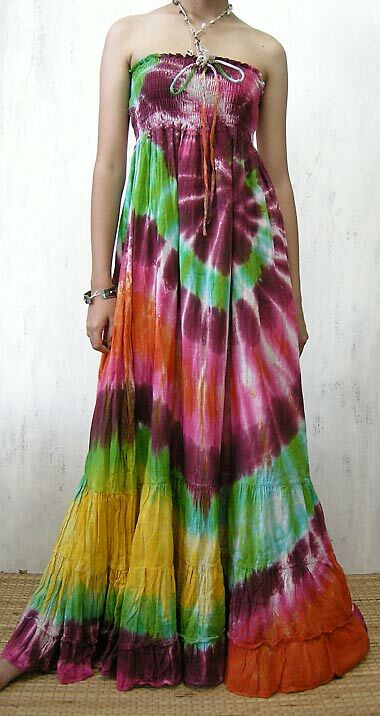 Smocked hippie gypsy dress, bohemian style. 70s vintage retro design. It is tie-dyed by hand and therefore unique. 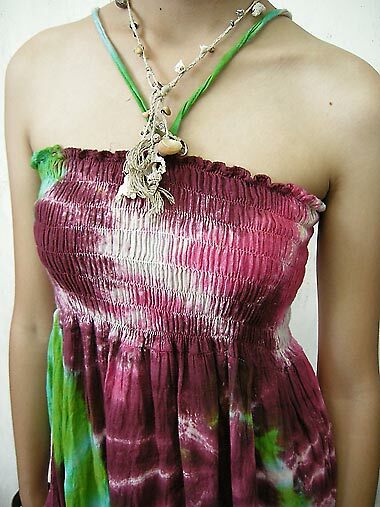 You can wear it as an halter dress as well. Excellent quality in combination with a stylish design. Color: multicolor.